I joined Second Life on Nov. 2003 and very soon I noticed the possibility of sharing informations, experiences and knowledges globally in this way. When you have an idea, you need to be patient too. So I had to wait for the right moment to explain my idea and share it. When you have an idea and you are sure that it is a good idea, you should believe in it and never give up easily. On August 2010 I started „The first Global Virtual Meeting for Gifted Education in secondlife“ with only 5 participants from Germany, Australia, UK. At that time I was not sure that this would be successful but I kept going. Finding a speaker with passion and interest in sharing experiences in this way without asking for payment. Answering many questions about how to create an avatar and what is secondlife, about Global time zone. How to move with an avatar or to join this event in a virtual world like secondlife. By the way it is still a lot of fun to see how this idea is working well so far. I really enjoyed to teach some highly gifted educators with skype, how to create an avatar and give a speach in this event. 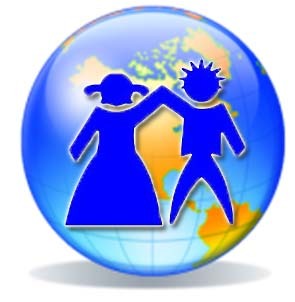 Here is a video with all last speakers at the Global Virtual Meeting for Gifted Education. The information about this event in 2012 is here. I hope to see many of you at this event because we should follow the same goal, supporting gifted children globally!